The waterfalls in India are as spectacular as anywhere else in the world and some even more so. You can find these natural spectacles all over India and at all times of the year but to see the India falls at their best you need to head to the Ghats in the south during the monsoon season. The abundance of rain result in thousand of magical and thunderous waterfalls everywhere you look. 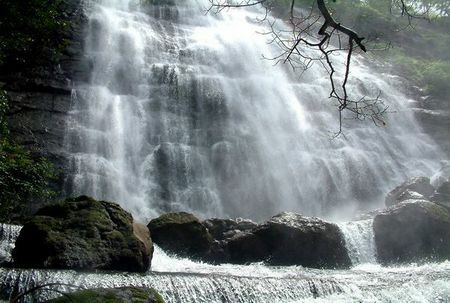 This list is just a list of the 'best; waterfalls in India but be assured - you will see hundreds and hundreds of them. Why do we like these water falls so much? Who knows...? Perhaps it has something to do with the power of nature, the principles of gravity, the seductive power water has over man as one of the basic elements. Whatever it is, thousands of people every year travel to see these, some of natures finest miracles. And India, is home to some beauties. This is one of my favourite waterfalls in India (hence why it is at the top of the list). The sound this one makes it truly astounding as tonnes of water come crashing down every second. Perhaps the best thing about this water fall is the little bridge which runs over the base of it - like something from a fantasy film I always think! It is located about 53 km from the town of Nashik in Ahamednagar in Mahrashtra. Another truly spectacular series of waterfalls in India, this time in Tamilnadu. 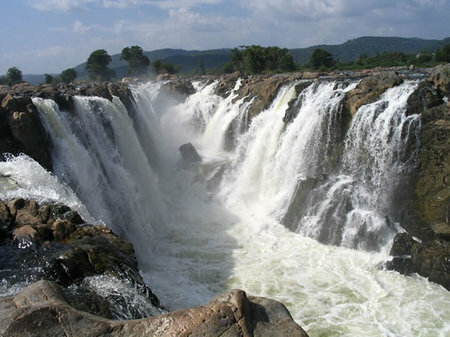 The photo below is part of a huge complex of waterfalls in the middle of the Kaveri river (Dharmapuri area) which together make a pretty breathtaking view and defintely worth a visit if you are in the area. Down south deep in the Western Ghats of Karnataka lies this beauty of a waterfall which has a lovely pool at the bottom if you fancy a swim! It is close to the tiny town of Madikeri. 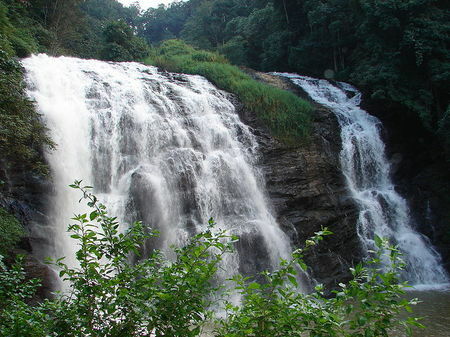 Once again we head to the western Ghats in the south of India for this, the Kilyur Falls. Although maybe not the most spectacular of waterfalls in India. The waterfall serves as a run of from the Yercand river and the proceed to drop 300 feet. To visit you have to make your way to the Shervaoyan hill range in Tamil Nadu. 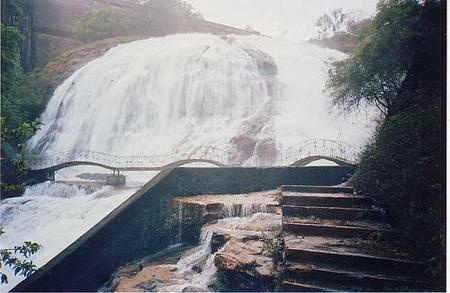 This series of rough and ready falls is located once again in Tamil Nadu but this time on the Tamravarni river. The waters of this river are considered by Hindus as holy and the falls are now an important pilgrimage site - as a result a small village has cropped up around the falls with local entrepreneurs attempting to sell the wares. 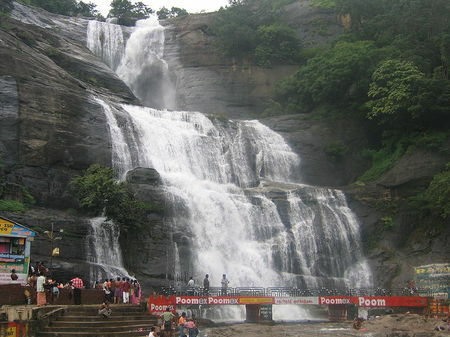 Kolli Hills water fall is another spectacular waterfall of India and neatly located ion a stunning valley close the town of Salem. 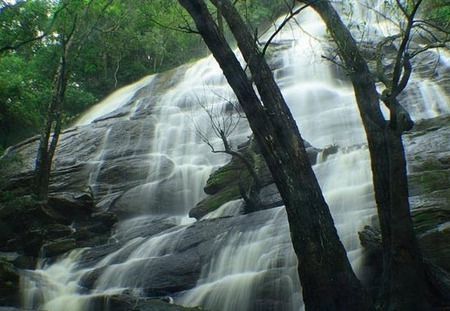 Kolli Hills waterfall is another spectacular waterfall of India and neatly located ion a stunning valley close the town of Salem. I hope you enjoyed my favorite waterfalls in India. I love waterfalls and these ones in India are some of the best in the world so I do urge you to go and take a look. If you're interested in taking a tour around the best waterfalls then use the travel planner at the top of this page to get a free tailormade quote to go with your trip.